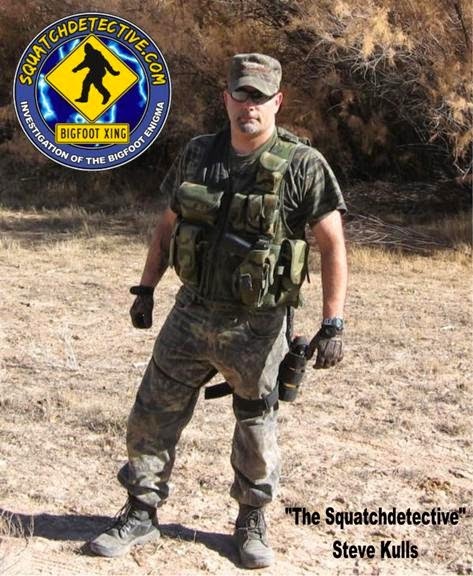 This Sunday the Monster X Radio Podcast welcomes the Squatch Detective, Steve Kulls to their show. Steve is an avid Bigfoot researcher from New York and has been featured on many different TV programs. He also hosts his own podcast which is scheduled to return to the airwaves in the near future. Steve firmly believes in a "boots on the ground" methodology of obtaining evidence, for or against the Sasquatch mystery. Call in to speak with the hosts or to listen live (347) 326-9859 Press 1 to talk. We will be taking callers the second half of the show. There will be a chat-room as well to interact and ask questions in. Just click on the link above and scroll down to see the chat-room. This is a good program that Steve was featured in.